Bad news for Janis Strelnieks and Olympiacos. 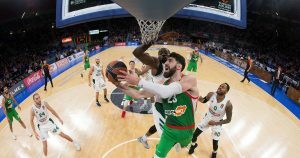 Ahead of the EuroLeague Regular Season Round 30, the Experts Round Table answered three burning questions. 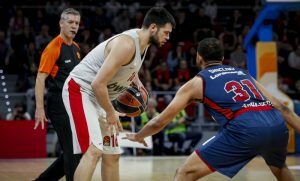 EuroLeague’de Son Hafta: Tam 64 Farklı Senaryo! 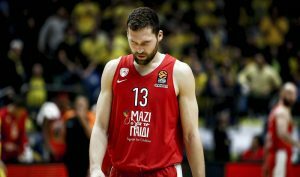 EuroLeague'de son haftaya büyük bir heyecanla giriyoruz. 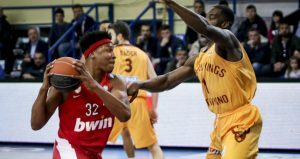 The "Reds" are now preparing for a do-or-die EuroLeague game. 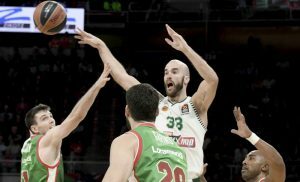 Vassilis Spanoulis se perderá lo que resta de temporada. The season-ending surgery for Vassilis Spanoulis was completed successfully. 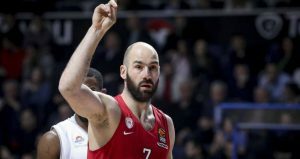 Vassilis Spanoulis, 2018-19 sezonunda bir maça daha çıkmayacak.